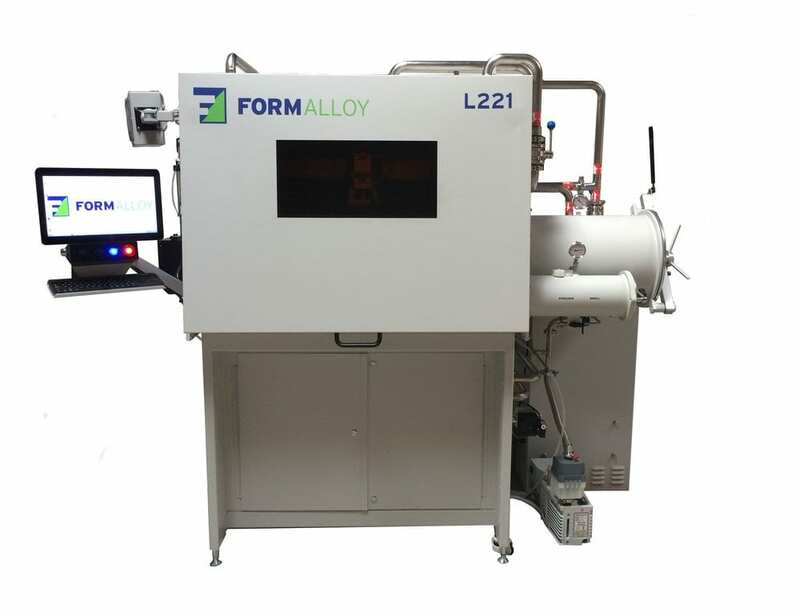 Fused filament fabrication has found its genius little sister in the form of laser metal deposition. The process builds parts layer after layer using the heat of an integrated blue laser. 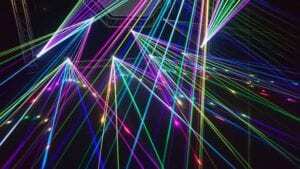 This allows Melanie Lang and FormAlloy to use a shorter wavelength than IR lasers which then allows for a wider range of material processing. Their blow powder system and modular powder feeders allows them to use different materials on the fly. With this technology that was inspired by aerospace engineering needs, they build parts that have complex geometric structures without any support material in deposition 3D printing. Learn more of the processes and materials used with 3D metal machines and how it is becoming a useful tool with flexible design build concepts. We have an interview with Melanie Lang of Formalloy. Her company has pioneered and developed a completely different metal 3D printing additive manufacturing process and technology. It’s more like FFF for metal except that it’s not a filament, but it’s a deposition metal printing using a powder and laser. When you look at the nozzle, it’s very similar looking to a common desktop 3D printing nozzle. I was lucky enough to meet Melanie from Women in 3D Printing and the panel that was put together for Inside 3D Printing San Diego. When she started talking, my jaw was just dropping because I’ve never heard of this before. I was getting excited about the design possibilities and my expansion in it. I think that metal 3D printing is under-appreciated especially in the consumer market. The capabilities of it was being held back by the process and this eliminates so many of those things. 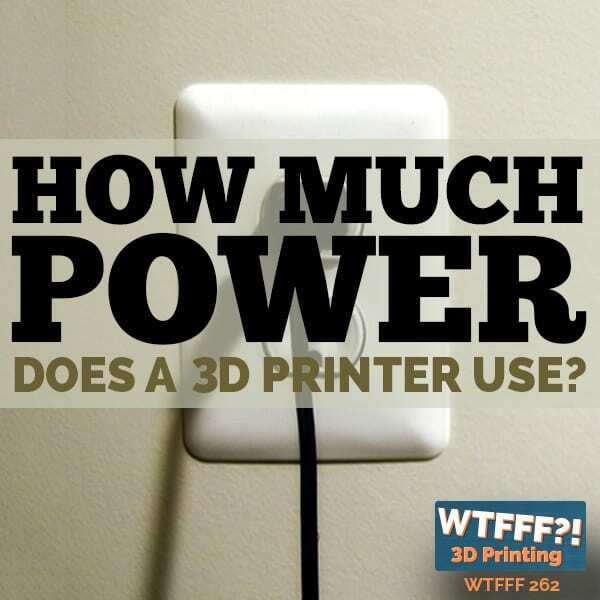 This is not any kind of conventional 3D printing that you’ve read about or experienced or seen on videos. This is something really different. It combines different technologies from different other processes. Not for the sake of doing that, but they just solved the problem that they saw an opportunity for. 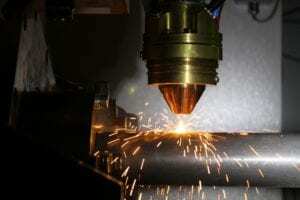 What they’ve ended up doing is using additive manufacturing to make metal parts in a completely different way that has tremendous advantages. Let’s hear from Melanie. Melanie, thank you so much for joining us on WTFFF. I’ve been very excited to speak with you about your company and your unique technology. Tom was really fascinated with the print head you brought with the nozzle when we saw you at Inside 3D Printing in San Diego. That’s our laser metal deposition head that we designed and built. We added some special features that work really well with our process. You can use it for additive applications. You can also use it for repair and cladding as well. Let’s get some background. 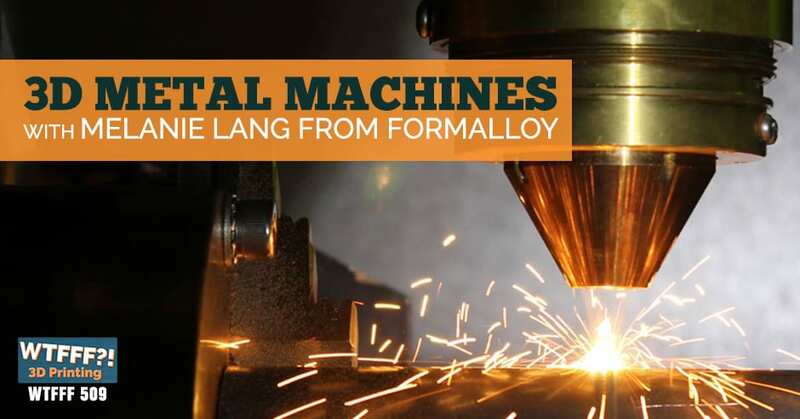 Formalloy is the name of your business that you started with your husband and partner. Talk about how you came up with the idea and started the business? Several years ago, we started doing some research in the additive space. We started looking at hobbyist technologies with plastics. Jeff Riemann, the founder, designed and built his own plastic 3D printer. We started thinking about how we could actually take this technology and make it relevant to a field that I came from, which is aerospace engineering. We started formulating this idea to design machines that could do additive manufacturing and also do repair and cladding for aerospace industry and also many other industries. The idea for Formalloy was born. We founded in January 2016 and released our first machine model about five months later in May 2016 and got us a lot of attention. That validated that the ideas that we had were good and we should continue to move forward with the Formalloy business plan. I was really fascinated with this print head. It looks like a large nozzle assembly that you showed down in San Diego when we were at Inside 3D Printing. Other than the scale of it, it’s large, it’s the diameter of a can of tennis balls but maybe half as tall, it looked like a pretty hefty piece of equipment. It looks not that dissimilar from an FFF or FDM plastic nozzle assembly. I guess it’s big because of the material that you’re manipulating and how you’re processing it? Right. That head has been tested with up to an eight-kilowatt laser. We weren’t able to get it to fail even at eight kilowatts, which is a ton of power going through there. We have to build it out of very durable materials, not only to withstand the laser power but also to withstand things like crashes. Occasionally something will happen, you do something a little wrong, program something wrong and the head will crash into the substrate or the other part. You don’t want to have to replace it just because you crashed it. It’s designed with very heavy materials that can withstand a lot of power, a lot of heat and even mistakes. Let’s explain your technology because it’s really different. I don’t think most people have seen this before. I certainly hadn’t before I met you. There are different types of metal 3D printing we’ve talked about with other companies but yours is very unique. Our process is called laser metal deposition. You also hear it called directed energy deposition. In this process, we build parts layer by layer. We do so by blowing a powder out of a coaxial nozzle, the nozzle that you saw at Inside 3D Printing San Diego. Then the part builds up layer by layer either onto a substrate or onto an existing part if you’re doing a repair or some feature addition. If I understood you correctly when you were talking about it at the show, you can build parts that have complex geometric structures, that have overhangs and things like this without any traditional support material that people in a deposition 3D printing process are used to. Is that correct? That’s correct. We have five axes in motion available on our machines that allows us to do things like unsupported overhangs and some really interesting geometry without the need for support structures. It’s the nature of the metal material in combination with how you’re depositing it. Your nozzle with the five axes of motions can change orientations significantly. Is that right? That’s exactly right. That’s how the parts build up. One very important feature with our technology is the build strategy. How do you orient the part and/or the head to get it to a place where you can build it up without the need for support structure? It’s variable based on what part you’re going to do it. You have a lot of design and build flexibility. You have it going both ways. Depending on what our customers need it for, depending on their application, sometimes we’ll provide a system that’s only three axes of motion if they’re doing more simple parts. Other times, we need the full five axes in motion to make the very complex parts. Other than any finishing applications, it would seem that parts must come off the machine ready to be used. They have full functionality coming off the machine. They don’t typically require post-processing for integrity. However, most metal additive processes require finished machining just to clean up the edges in particular if you want a very smooth or mirror finish. That’s pretty typical for most metal processes where there will be some post-machining requirements to get it to look that way you would expect it from a more traditional manufacturing process. What are the types of metals that you cover? We work with a very wide range of metals. That’s one area that we believe we are really leading the way on. We work with everything from traditional metals that you would expect like nickel-based and cobalt-based and iron-based alloys, as well as carbides for hard-phasing applications. We have experience with titanium and also even with copper-based alloys, we’re able to process with very efficiently. 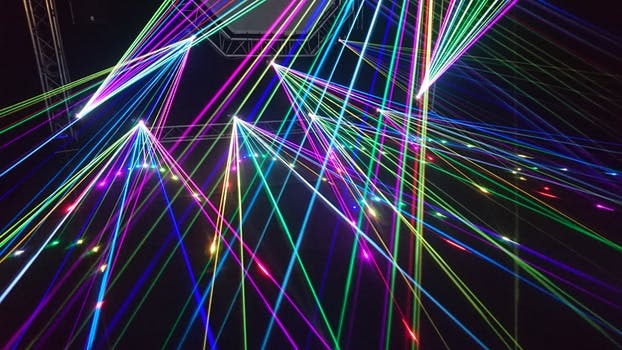 We’re able to do that because we have integrated a blue laser, which is a shorter wavelength laser than IR and it allows for a wider material processing range. There are certain materials like copper and copper alloys that don’t like the IR laser. It just reflects and it’s very difficult to process with. It loves the blue laser. It absorbs a lot of the energy and will deposit very nicely. In addition to copper with the blue laser, we can also do multi-metal or gradient materials. With our process, you can start with one metal and you can transition layer by layer to a second metal or metal blend, and then even a third. It really expands the envelope for what’s possible. With the gradient materials, you can do things like take two parts of dissimilar metals that are bolted together and now build them into one part that transitions from one metal to another. Finally, on the material side, we have also printed with magnetic materials. We were able to deposit the material and then magnetize it, and it was able to keep its magnetic properties. What kind of a magnet would that be? I actually have some experience with different kinds of magnets. Would this be like a neodymium magnet or is this some other magnet material that you’re printing? The material that we printed with was called Alnico. That’s the only magnetic material that we have printed with. We haven’t found any other applications or requests for other materials, but we’d be happy to try that if someone has an R&D project for us. Even the material that you have, you can print it. Being able to integrate a magnet or magnet functionality in combination with another metal material would be really innovative to do. Now, if you need a magnetic function in part of a part, you don’t have to assemble a different magnet to it. You don’t have to deal with issues of, “How are we going to mechanically fasten these materials together?” The integrity of the joint or something, that’s not going to happen there. That’s one of the really neat things about this technology that’s making things possible that weren’t even possible before. I’m thinking back to Revereware Cookware or something. I know you deal with a lot of industrial applications and not necessarily domestic applications. In theory, those pots and pans that have that copper bottom on them, you could make something like that it sounds like. Absolutely. We have a lot of experience with taking an existing part or object and then adding material to it to give it a new feature or something like a copper-based alloy coating for heat properties. That was something you mentioned when we saw you before. You were talking about repairs. When mistakes are made when you’re machining parts and now you’ve got this gigantic hole and it’s in the wrong place, your machine can actually fix that. That’s another one of the really unique discriminators about this technology. It’s not just for traditional additive applications where you’re building something from scratch. You can take a part that has been mis-machined, say a hole drilled in the wrong place, and we can add material into that hole again with full metallurgical bond. They can re-drill on the correct place without having to scrap the entire part. I’m familiar with a lot of times in an industry with maybe less precise parts, but where if you had a hole on the wrong place and you really need to save this part, you would use a welding process to fill it up and then clean it up after the fact. I imagine that process really changes the properties of the metal because of all the heat. How does your process affect the original part in that regard? There is some heat for sure that gets transferred to the part but it’s significantly less than with the welding application. We have not seen it affect the integrity of the original part. There has been pretty significant metallurgical analysis done on the parts that we’ve done for customers. Typically, a customer will first have us build some samples and they’ll do a lot of testing on it to make sure that there are no issues with overheating the part or porosity. When those results have come back, they’ve been very good where we’re virtually porosity-free, no small holes or air pockets, full metallurgical bond, and very similar properties to what you would find with raw material. I want to make sure that our listeners really understand that what you’re talking about is using a lot less metal in the process. A metal powder is concentrated into a specific area. It’s not like the metal bed technology. You have the powder bed and you’re using all this powder everywhere and you’ve got a lot of metal you have to buy and purchase. This is a little bit different than that. It’s very conservative in the amount that it would use. That’s a great feature of a blown powder system like ours. You don’t have a large bed that you have to fill with powder to make a small part. We’re only blowing the powder that we need to build the part or do the repair or do the clad. It saves you significant amounts of money on materials. Also being able to quickly change from one to the other as you can do. We can change materials on the fly. If you wanted to use multiple materials, it would require multiple hoppers. We have a powder feeder, which is modular so you can have even up to four different powder feeders that you would want, each filled with a different material. You can change them on the fly either to build different parts with different materials or build the same part and change materials on the fly to come up with a gradient that will transition slowly from one material to another. This has what’s been withholding us back from actually doing some consumer products that we would like to be doing in metal. We’ve been held back for that. I think the jewelry industry is a little held back too. There are lots of non-industrial applications that are just opening up because you have this possibility that hasn’t been there before with the mixed materials and the way that people would like to be designing and working. We’ve seen that response as well. Although our focus initially has been on industries like aerospace, oil and gas, and the heavy industry like tool manufacturers, we are starting to see a lot of interest on the consumer side for things like sporting goods. They could actually use the same technology to improve consumer products as well. That nozzle that you shared was pretty large. Tell me about some of the fineness or level of precision. Are there limitations currently? Our technology is very scalable, so we say from millimeters to meters. That’s one of the good capabilities of it. The smallest thickness that we have done is about a half of a millimeter. That’s a function of the laser power and the spot size and your powder flow rates. Those are all things that could be tweaked to get the build that you want. We have not had an application that has come to us much finer than half millimeter resolution, but there’s no reason why we couldn’t tweak the process to get a little bit finer than that. It seems like the jewelry industry might not be the best fit for your technology because there’s a lot of very fine intricate details there that maybe powder bed fusion might be a little bit suited for, especially with the precious metals that are being printed. Still, half a millimeter is acceptable for probably the vast majority of applications. Cutlery and things like that could be revolutionized. We’ve started to do some work with the tool manufacturing industry on things like knife blade edges and that kind of thing where we’ve added thin layers of material to strengthen just where it needs to be strengthened. Are there advantages or opportunities using your technology from a technical perspective in terms of the integrity of material, the strength of material that are possible? Let’s say if you were making a hunting knife or something that you need to have a certain level of strength and a level of brittleness or malleability, are there some things you can share in that regard? I can talk a little bit generally. You’re absolutely right in terms of there’s a lot of opportunity to take products that we use every day and tweak them with this process by a hunting knife just adding a finish to the very edge of the knife blade and things like that. Most of our projects that we’re working on now are under pretty tight non-disclosure because we are disruptive in some ways. Now, you can add material just where you need it instead of having to figure out either how to join two parts made out of two different materials or maybe build the whole thing out of something that’s more expensive. Now, you can just very quickly and efficiently add a small layer right where you need it. There are a lot of industries that’s disruptive for. Our customers are doing this to stay ahead of their competition. I want to talk to you a little bit about your business model. You’re working consultatively with companies that started to develop how it works. It’s the idea also that they’re making their own machines in-house to do it, if that’s an ongoing production cycle for them. That’s actually the focus of our business to design and sell the additive manufacturing systems. The R&D projects that we typically do for our customers are those that are doing feasibility studies or a little bit of low-rate production to prove out our technology so they can bring their own system in-house. We don’t have the plan to become a service bureau. We’re actually looking for partners for service bureaus that want to bring in this additive technology in-house that we can refer some work to in the future. I’ll mention one more thing about our business model. In addition to selling the turnkey systems, we also provide what we call OEM solutions, which are some of the key machine components that we’ve designed for existing production lines or if you had it in existing robot cell. That head that you had seen at Inside 3D Printing, for example, we could sell that with a laser and a powder feeder and add it to a robot cell in order to give an existing cell additive capability that didn’t have it before. I can see what you’re talking about integrating this process and capability into a traditional or even a very modern manufacturing process. There are probably lots of potential applications where that would make sense. The turnkey system is not for everyone, particularly if you have an existing production line and you just need to add this capability onto a robot. Maybe you have something that you want to build and correct on the fly or maybe it’s a cladding application with things like a hunting knife where you just need to add a thin layer of material across the knife blade. Those are all things that we could integrate onto an existing production line and give a very high-rate output. Then we get to adding the robotic finishing and you have a full intense system. That’s the thing for consumer applications in our particular case. For the most part, you still need polishing and you still need maybe plating in some cases. You may need those types of post-processing. Typically, we see that with most additive applications. There is some post-processing required. It just depends on the application to what level you have to post-process it. Thank you very much. I think you’re absolutely right. This is a technology that’s enabling to existing technologies. I don’t see this technology replacing how things are built on a large scale or replacing traditional manufacturing. It’s just another technology that enables new ways to build things and existing production lines and existing ways that you manufacture things. It doesn’t only do that but it does it in a way that’s uniquely suited to 3D printing that no other process could possibly fill that gap. When you think about powder bed fusion, you’ve always got to be careful to leave enough opening so the powder can all fall out that isn’t carried in the part of the part. You really don’t have that problem. Could you make a completely hollow volume? 3D Metal Machines: This technology can certainly change the way that we build things. It would really depend on the geometry. With this process, you do have to have something to build on top of. We do use our five axes of motion to be able to orient the part to build most geometries. If you think about building a completely hollow sphere, there would be a point at which we would have nothing to deposit on. There are some limitations like that with our process. You don’t suffer from the same inherent problem in powder bed fusion, lasers or carrying powder. It’s a huge amount of powder and you risk trapping powder in hollow spaces if you don’t design your part right. I think that yours is different and doesn’t have that issue. We don’t have that issue. We don’t have the large bed of powder that we have to contend with. We can do things like the gradient materials that powder beds can’t do as well as the repair feature addition. I can imagine your mounting of existing parts on your bed must have to be quite precise for the machine to understand where there’s a part that you don’t want it to crash into. You must have handled that if you’re doing this all the time. We’ve enabled our system to be able to take in existing part and add material to it pretty easily. We’ve conquered that one. We’ve got to get down and see it in motion. Please come see us. We’re located outside of San Diego. Everything is designed and built here. We’d be happy to host you for a tour. We’re going to make that happen. Melanie, thank you so much for taking some time with us and sharing this with not only us, but all of our listeners. This is a different one. I’m sure no one saw this coming. I’m sure we may have a lot of questions from our listeners. We’ll be sure to connect them with you as they come in. Thank you so much for having me. I’m very excited about this technology. It can certainly change the way that we build things. 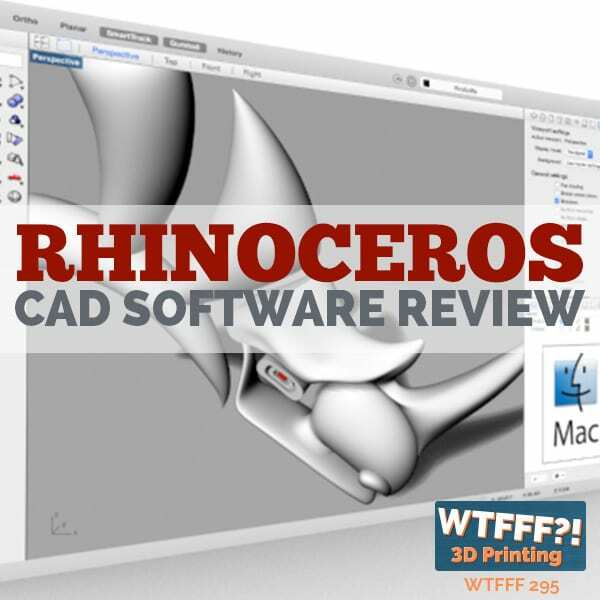 Everybody who listens to this podcast and has any experience with desktop 3D printing knows that nozzles in a deposition process stay in one plane. They stay in the XY plane of the motion of the machine. Sometimes they move across in the two XY axes. Sometimes they only move in one or sometimes not, but they’re always in the same orientation. They’re always vertically mounted and depositing material down. The realities of gravity and geometry and the limitations of putting material onto a single layer on a plane are reality. We all accept that. What I really think is key here is what they’ve done is disrupt something in disruptive technology. 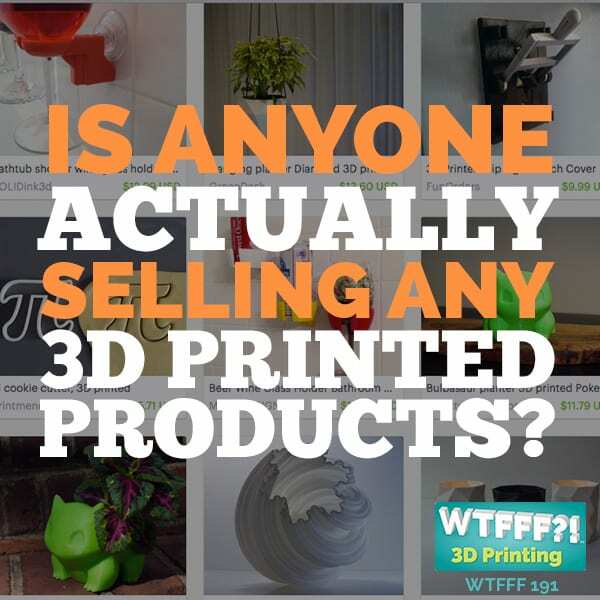 This is what’s actually been problematic about why 3D printing hasn’t taken off in the way that people expected by now, why the disruption hasn’t abruptly created that rift in marketplaces. It’s because the technology is still not good enough and it was never good enough because it wasn’t built from a product standpoint. It was always built from, “This is what the technology can do whether it’s fusion bed and whether it was FFF printing. It didn’t matter what it was. This is the technology, now let’s figure out what we can make with it.” Melanie and Formalloy started the other way. They said, “Here’s all the problems of trying to create parts in our business and in aeronautics and in these industries and industrial applications. How do we create the best machine to solve that problem?” That’s what they did. That’s a totally different model of doing business. They used inspiration from FFF and from FDM and from other laser technology. They used that but they didn’t let it constrain them. If you could imagine an FFF filament 3D printer where the whole head assembly not only moves on one plane in the XY axes, but actually could rotate itself, orient itself to print from the side horizontally and start to build layers out horizontally. You could achieve a lot of different geometries than what you can do without support and a lot of other complexities that slows print time down and make for labor to clean up a print after the fact. What they’re doing is so much more than that. Even just on that level of orientation and geometry and motion of what their machine can do, it opens up the possibilities tremendously. 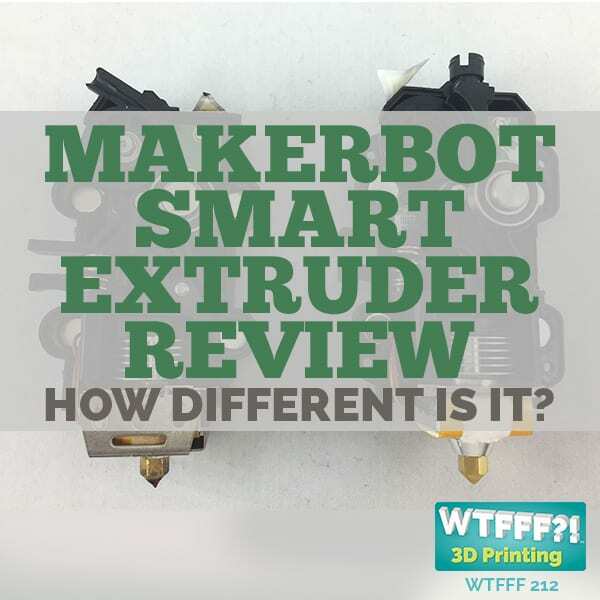 There’s a lot to be learned from what they’ve done and for filament printing for all kinds of other applications of things. I’m very fascinated. I really look forward to this tour. Mind blown lots of things. 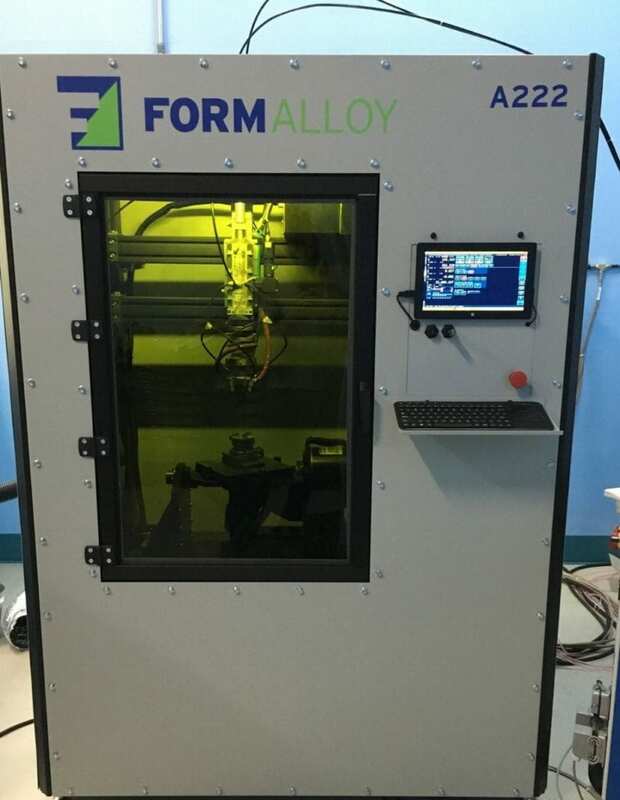 Even the thought of being able to print with more than one metal, more than one alloy in one single print seamlessly, how can we make it happen? We’re talking at maybe a jewelry level, but we’re still talking about how to combine metals. At a jewelry level, you can’t do it in a single print with the powder bed fusion processes because the bed is full of one material, one powder. If you’re going to combine parts, you’ve got to print them separately and then combine them after the fact. 3D Metal Machines: What they’ve done is disrupt something in disruptive technology. Think of not just the geometric opportunities and the material property opportunities. In terms of the performance of a part where you need a certain type of material in one area for a certain purpose and then another material in another areas for a different purpose or for cost reasons or anything else. The ability of putting an old part on the machine and adding material to it, no post-processing joining and things like that, which is where the integrity problems happen. I could see restoration of old airplanes or old classic cars where you can’t get parts anymore. Adding metal back into places where it’s rusted away or come away or you have to remove parts that has been damaged, and being able to add material typically and weld it and the material isn’t the same as what was there, you have opportunity with this process as long as it’s half a millimeter thick or more to be able to add material and rebuild parts. We hope that you’re excited like we are and will come to 3DStartPoint.com or check out the Facebook page @3DStartPoint, and check out Formalloy. We hope you enjoyed it. Feel free to write in a comment with questions or suggestions. We’re definitely going to do a follow-up episode to this. If you have questions, we’ll ask them when we visit there to the extent that we’re allowed. If things are not complete proprietary, we’ll shoot some video and take some of our own photos and share that with you. Look forward to that in the near future. Thank you so much for listening. We’ll be back next time. 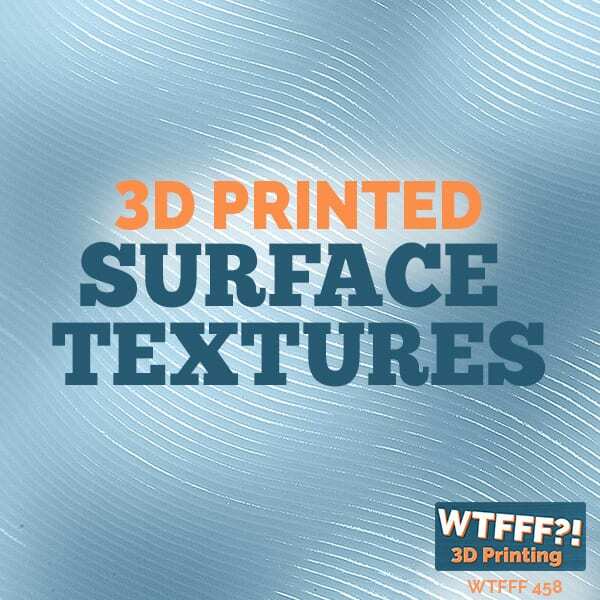 This has been Tom and Tracy on WTFFF 3D Printing podcast. Melanie Lang, Formalloy Co-Founder, is motived by developing and building a disruptive technology that delivers on the future we could have previously only imagined – working on the next generation of how we build high-value components. She has over 15 years of experience as an engineer and program manager in the Aerospace & Defense Industry. Melanie holds a B.S. in Aerospace Engineering from University of Illinois and M.S. in Systems Architecture and Engineering from University of Southern California. She currently serves as the Vice President of Legislative Affairs for Navy League San Diego.